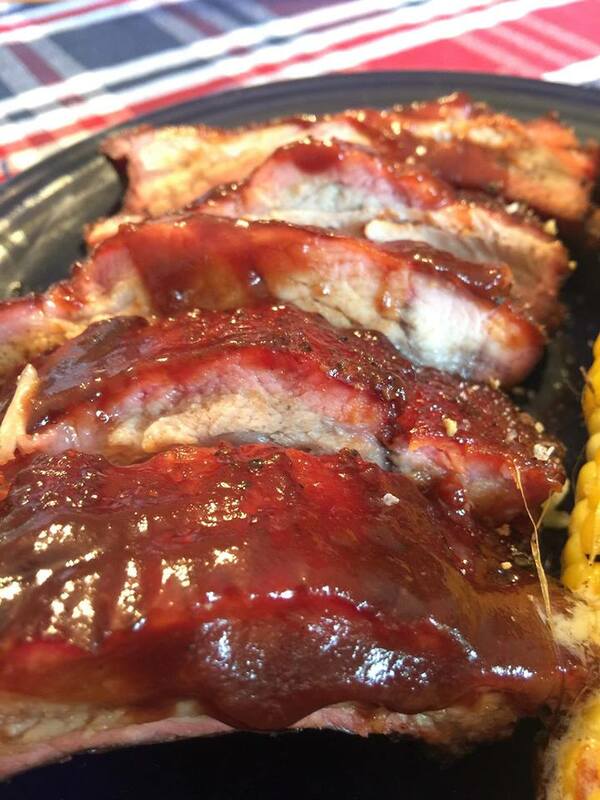 BONZ Barb BQ Sauce (pronounced bones) originated in Indiana, U.S.A. BONZ has been described as liquid heaven and was created for those who enjoy a sweet and tangy tomato based BBQ sauce with a hint of smoke and a touch of molasses. 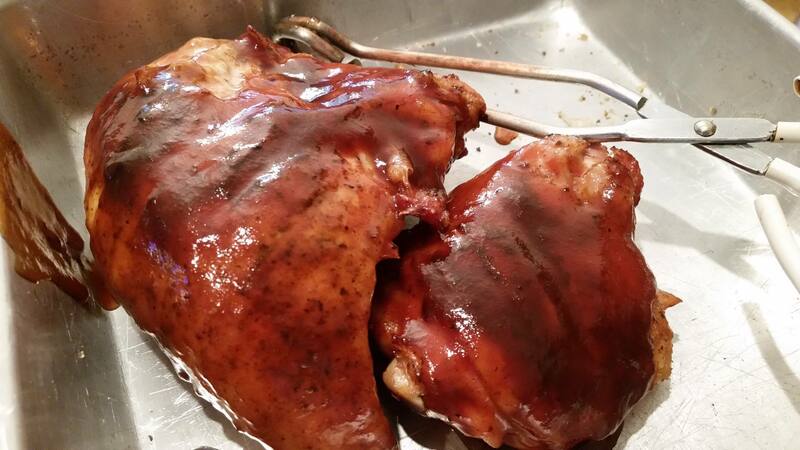 BONZ Barb BQ sauce is excellent on everything, and makes an outstanding sauce for dipping. 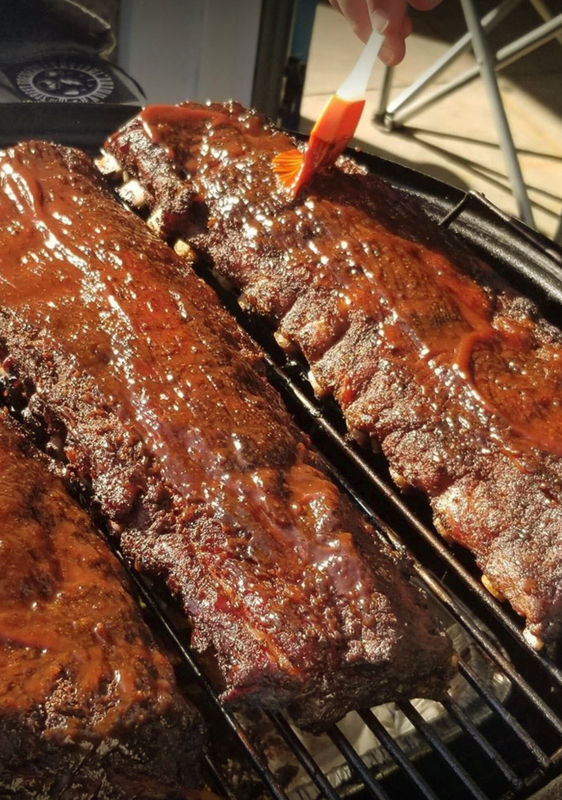 For the best result when grilling, we recommend applying BONZ Barb BQ sauce to your grillable during the last 5 minutes of your grilling cycle. Be nice and SHARE BONZ with a buddy, and you'll become a BONZ Digger for life!! INGREDIENTS: Sugar, Water, Tomato Paste, Brown Sugar, Distilled Vinegar, Pineapple Juice, Molasses, Salt, Modified Food Starch, Natural Hickory Smoke Flavoring, Natural Flavoring, Spices, Mustard Flour, Caramel Coloring. Take ground beef and add the crushed cornflakes, and add the beaten egg. Add BONZ BARB BQ Sauce and the seasonings. Mix well and form a loaf. Place loaf in roasting pan; pour boiling water over the meatloaf. Spread additional BONZ BARB BQ Sauce over the top of the loaf. Top with bacon strips. Place loaf in preheated oven at 350 degrees for about an hour.